This form is completely free whic is best part of it. Its not only free but its unlimited too, so you can use unlimited forms. This contact form have Captcha codes to stop spams. Don't need any registration, just need a target email ID. 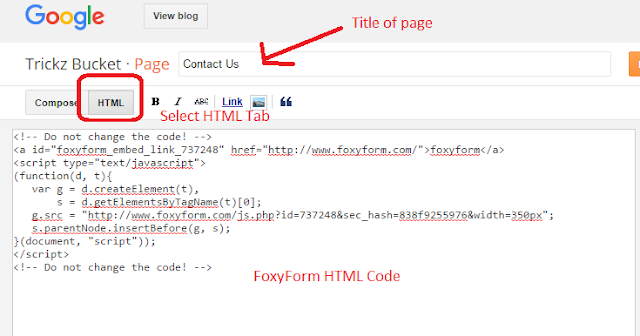 First go to FoxyForm.com, and select the fields you want to add in your contact form in Settings option, i.e. Name, Email and Message. Than work on the looks on the looks of your contact form in Advanced Settings option. 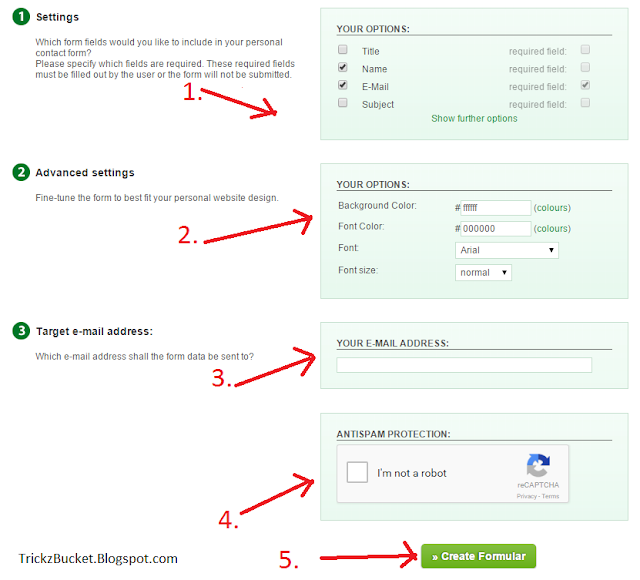 On the third option, you have to set Target Email Address, which should be the email ID where all messages of contact form will be sent. 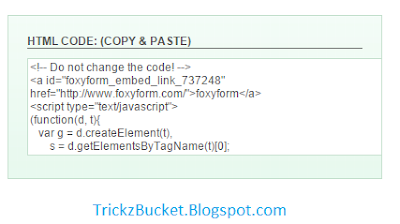 You are all done, solve the captcha code and click on Create Formular button. Have a look at the screenshot bellow. That's all, publish the page and you are done. You have successfully added the contact form in blogger static page. 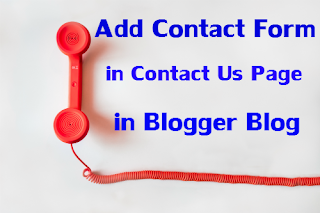 Blogger does not come up with static page contact form, so this is the good way to add simple and clean contact form in blogger pages. I am currently using it too. Its good and works perfectly. I hope you enjoyed and learnt from my post. Leave your comments, if you have any thing to say.